The Atlanta Braves promote responsible drinking and positive fan behavior at SunTrust Park. The Braves Fan Code of Conduct and the details of the Braves alcohol management plan that appear below ensure that fans have a safe and fun experience. Guests must refrain from conduct that is inconsistent with the fun, family atmosphere that should prevail at SunTrust Park and the SunTrust Park experience, including but not limited to: interfering with other guests’ ability to enjoy the game; using foul or abusive language or gestures; appearing to be in a drunken or diminished capacity; failure to produce a ticket on request or sitting in a seat which is not ticketed; possession of balloons, beach balls, nets, laser pointers or other prohibited items; interfering with a ball in play; and throwing objects on or entering the playing field. Violators may be subject to ejection and possible arrest. Those observing other guests violating Braves policies should report the incident to the nearest employee. Guests can also confidentially text BRAVES ISSUE AND LOCATION TO 69050 (standard rates will apply). 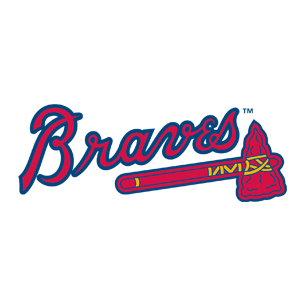 Braves personnel will respond to security matters or guest service questions. Courtesy of Delaware North Sportservice, guests who would like to be their group’s designated driver can receive a complimentary 12-oz. bottle of Coca-Cola product from the Designated Driver Booth located at the Left Field Gate entrance (or any Guest Services booth located within the ballpark).